Romney needed to improve his favorability ratings at the RNC, but the early returns suggest that, while there might have been slight movement in his direction, a plurality of voters still hold an unfavorable impression of the Republican nominee. Moreover, his gains appear to have been balanced out by improvement in Obama’s approval rating. Six national polls conducted after the Democratic convention show Romney’s favorability rating at a net-negative 3.5 points. 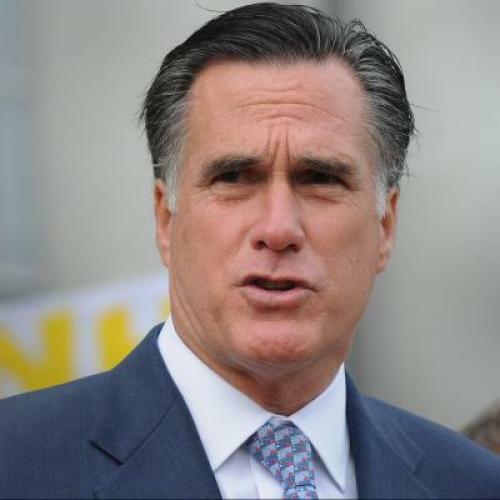 While that represents a slight improvement from per-convention surveys, Romney’s unfavorable ratings remained near fifty percent and his favorables were still weak by historic standards. Perhaps Romney’s ratings will improve as memories of the DNC fades. But the primetime DNC speakers didn’t necessarily focus on tearing down Romney, so I’m not sure that we would expect Romney’s numbers to be depressed as a result of the DNC. In contrast, DNC speakers sought to defend Obama’s record, and therefore we might expect Obama’s approval ratings to be at a somewhat elevated level. Indeed, post-DNC polls show a net-3 point improvement in Obama’s approval rating, which now averages 48.9 percent. It remains to be seen whether or to what extent Obama’s numbers might relapse over the coming weeks. So who came out ahead? Well, the topline numbers make it clear the president came out ahead, and the underlying numbers help explain why. Although Romney’s favorability ratings improved, they only reached the mid-forties, suggesting that many of his gains came among Republican-leaners who were already likely to support Romney. In contrast, Obama nudged his approval rating up to 49 percent, suggesting he made inroads among genuinely persuadable voters. The RNC was Romney’s best--and perhaps last--opportunity to undo the damage wrought by an acrimonious primary and millions of negative advertisements aimed at a central element of his biography. If you watched the convention, that’s not entirely surprising—Christie and Eastwood spent chewed up a lot of time and media coverage on topics other than the Republican nominee. There are a surprising number of ways in which a Romney victory would be unprecedented, and here’s another: no candidate has won the presidency with a net-negative favorability rating. Now, an incumbent president hasn’t won with a net-negative approval rating either, so if Obama’s approval ratings relapse back into negative territory, someone will get to claim an unprecedented triumph over history. But this is the heart of why Romney has struggled to convert opportunity to a victory: even though Obama’s numbers are consistent with defeat, Romney’s are as well. At this stage, his favorability numbers are largely set in stone, and so an incumbent president with approval ratings beneath fifty percent appears poised to win reelection against an unpopular challenger.